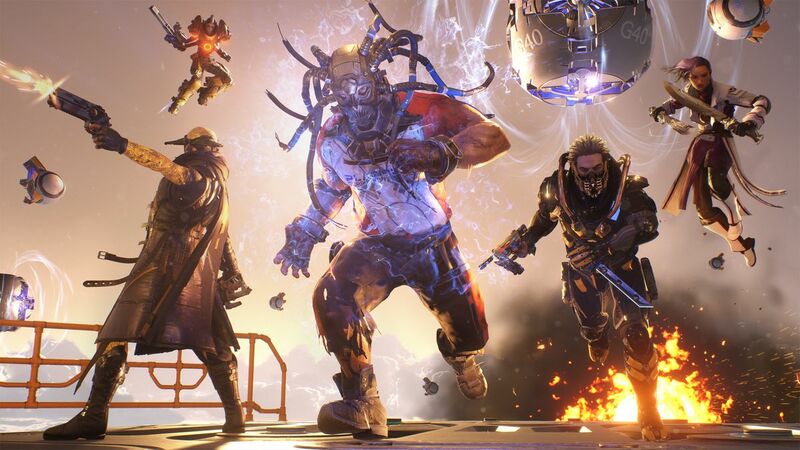 LawBreakers underperformed -- no one disputes this. The first game (and only game if you don't count the extremely Early Access Radical Heights) from Cliff Bleszinski-founded studio Boss Key Productions was quite good. But, LawBreakers never found a footing and its player base quickly dwindled. It led to Boss Key being shut down earlier this year. LawBreakers was published by Nexon, and it's safe to say that not everyone walked away feeling fine. One such person is former Nexon America vice president of marketing Vlad Coho. He's giving a talk at Seattle-based professional conference DevGAMM, and it's titled "LawBreakers: How I Blew Millions Marketing the Biggest Flop of 2017." It'll presumably be a lecture that outlines the mistakes Coho felt like he made, while advising the audience of what he would've done differently. But, that sure seems like a dangerously inflammatory and short-sighted title for a professional conference! Everyone surely has regrets about how LawBreakers turned out, but no one else is this outwardly antagonistic toward their business partners. Coho will probably get a crowd for his talk. He'll also probably find that people are hesitant to go into business with him when they realize how readily he'll throw former partners under the bus. Cliff Bleszinski declined to comment on this matter.